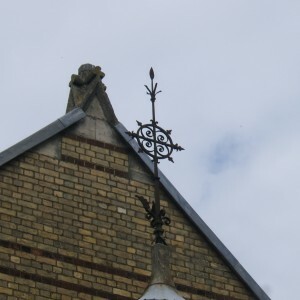 The asylum at Leavesden was part of the first wave of new institutions developed by the recently formed Metropolitan Asylums Board, who became responsible for a sizeable tranche of Victorian London’s health problems. These had initially commenced with a remit to provide services for fevers and smallpox as well as the training and care of persons considered as ‘idiot or imbecile’ for which special asylums were to be provided. 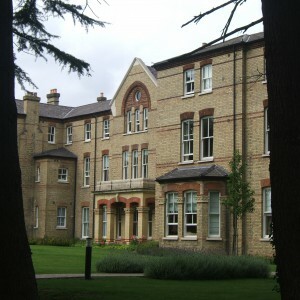 The creation of the Metropolitan Asylums Board had been instigated due to a number of public controversies over the management of such classes particularly within the Poor Law Workhouses and was spearheaded by social reformers, most notably including Florence Nightingale whose opinions on free passage of air and of sanitation helped revolutionise hospital and asylum design of the time. Leavesden and Caterham, as a pair of asylum were to form the first moves toward provision for those identified as idiot or imbecile of urbanised London. Prior to this time specialised accommodation had only been available in a string of charitable institutions distributed around the England and aimed at fee paying inmates supporting those who could not. Otherwise the mainstay of such institutional care comprised of the poor law workhouses or chronic wards of lunatic asylums. 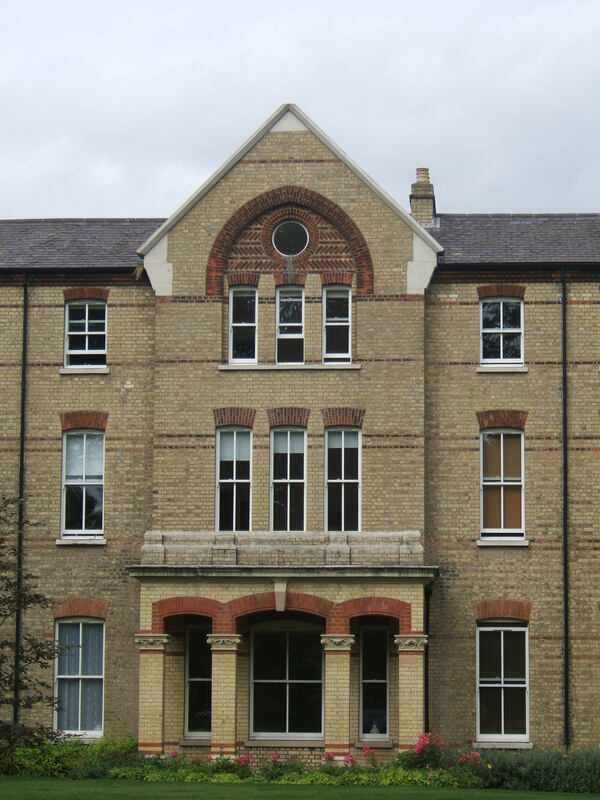 The first of the MAB Institutions opened in January at a temporary hospital Hampstead for fever and smallpox cases with the two Imbecile asylums opening in the autumn of the same year, Caterham first and Leavesden following ten days later. Both of the imbecile asylums formed a standardised design provided by John Giles and Biven with only minor variations required for each site. The plan utilised the pavilion plan which had been developed in conjunction with recent reforms in hospital construction and promoted ventilation and access to light in order to prevent cross infection and was to be heavily advocated by the MAB most future developments. The first significant project to involve a pavilion plan hospital at that time had been the Royal Herbert Military Hospital on Shooters Hill and had been heavily influenced and publicised by Florence Nightingale, leading to it’s implementation in the new St. Thomas’ Hospital, simultaneously with the construction of the imbecile asylums. At Leavesden and Caterham the plan took on a variation in the form of how the wings were laid out in relation to the service areas. Whereas the pavilion blocks were typically laid out on a linear spine corridor, often with blocks to both side, land take in an institution such a size as those planned meant a different approach which reduced land take. The ward wings of the imbecile asylums took on a different approach by laying out ward blocks along corridors at each side in parallel with the central services section. This approach reduced the footprint of the structure making it much more accessible, and allowing the space between ward blocks to be utilised for airing court spaces. The principles of air and light access were sacrificed somewhat as the sites took on a somewhat more congested form but as there was little curative expectation and as most physically sick inmates would be taken into the infirmary blocks at the front of the building with the best aspect anyway these were considered acceptable. This dual pavilion layout, despite its barrack like appearance proved popular enough to be used for at least another four chronic or imbecile asylums into the twentieth century. The architectural firm Giles and Biven were at the time becoming established as institutional architects having taken on two projects for the St. Pancras Union simultaneously with the MAB imbecile asylums. All four institutions were formed of a common appearance – yellow stock brick, with limited ornamentation, double hung sash windows and slate roofing. Each administration block was of strikingly similar appearance with the Highgate infirmary differing in its recessed flanking wings rather than the central section in the Leavesden Industrial School and Imbecile Asylums. John Giles would later form the successful partnership of Giles and Gough, later Giles, Gough and Trollope who went on to design numerous lunatic asylums and poor law infirmaries. Leavesden initially comprised of six female wards and five male wards, each of three storeys, with one of each dedicated to the physically sick imbeciles. To either side of the admin block, stood houses for the matron and assistant medical officer at the end of each corridor, whilst the superintendent resided in accommodation within the west wing of the administrative block itself. elsewhere in the grounds, homes for the engineer and chaplain were provided as well as a lodge at the main gate. To the north of the estate a farm, gas works and burial ground were developed. The female side of the asylum was filled very quickly prompting the need to expand and a ward for inmates who worked in the laundry was constructed and opened in 1872, with a needle room block added nearby in 1886. Both infirmaries being extended in 1876, with the adjacent blocks also being converted for this purpose in 1887 for females, and 1900 for males. A further ward was also added to the male side during this time for general cases. 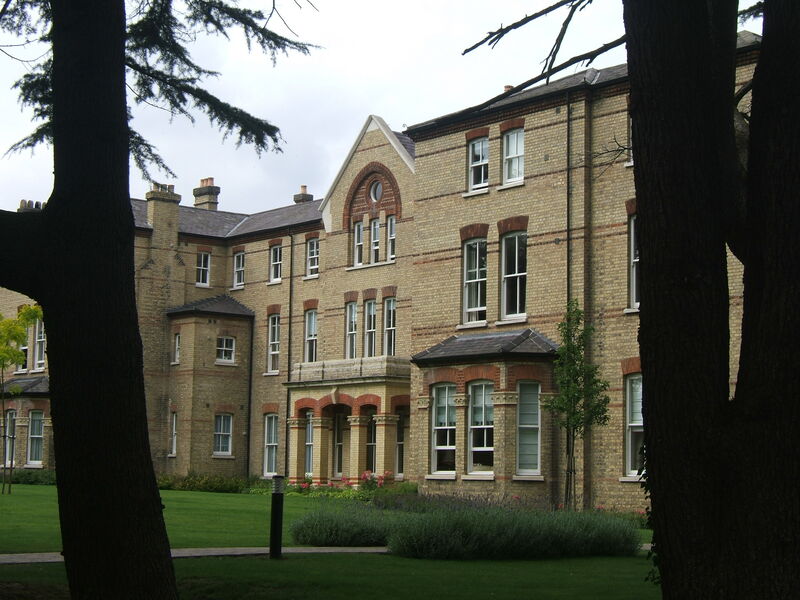 Children were transferred to Hampstead Fever Hospital during this period, which was not required for isolation cases at this time to make space for more adult inmates whilst a new residential school was being constructed at Darenth for these cases. 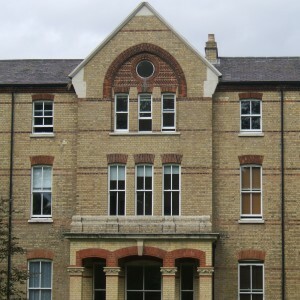 The Hampstead residents found themselves returned briefly before being transferred again to the old London Orphan Asylum at Clapton briefly between 1876 and 1878 as Hampstead was once again required for infectious diseases. A new recreation hall was provided for inmates and staff in 1892 on a site set aside during the original planning of the layout but not previously constructed. The design for this and other extensions was provided by A & C Harston who were becoming well established as architects for the MAB. 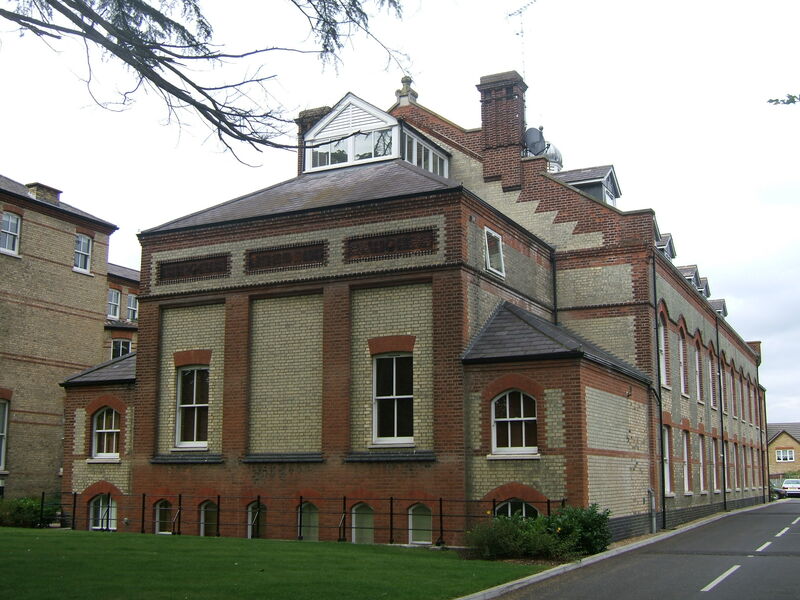 The new hall provided a stage for performances and was often used in conjunction with the St Pancras Industrial School on the opposite side of Asylum Road. The asylum cemetery had originally been provided with a mortuary chapel, which having been never used as such had already been converted to cottages for gas workers. 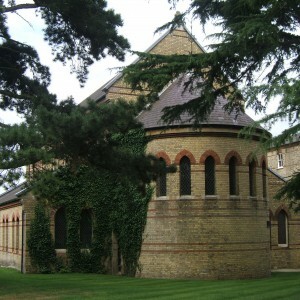 The new mortuary opened on the male side in 1902 and an extension to the cemetery was consecrated in 1908, having previously doubled in size in 1887. One of the most infamous former residents of the asylum was Aaron Kosminski, frequently suspected to have been responsible for the Whitechapel or ‘Jack the Ripper’ murders and was admitted from Colney Hatch Asylum in 1894 until his death in 1919. 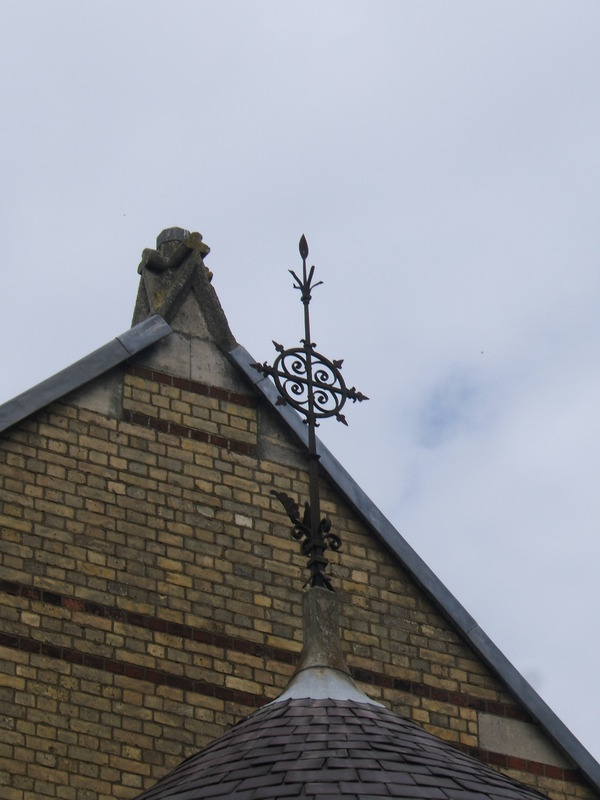 The asylum was rocked by two unfortunate events – an outbreak of Enteric Fever (Typhoid) in 1899 caused a number of fatalities, the source of which was found to be contamination of the well providing the main water supply and extending 250ft into chalk below the site. This was variously attributed at the time to the location of the burial ground or the practice of distributing sewage over the farmland but was eventually put down to the practice of using deep well like pits for sewage which contaminated the water table through the chalk layer. The industrial school’s supply was also found to be similarly polluted. The second incident occurred simultaneously with the first and involved a woman called Mary Ann Ansell , who having insured her imbecile sister Caroline’s life sent a cake laced with rat poison via the post to Ward 7 where Caroline and other inmates consumed the cake and she subsequently died. Mary Ann was found guilty and was hanged the same year. 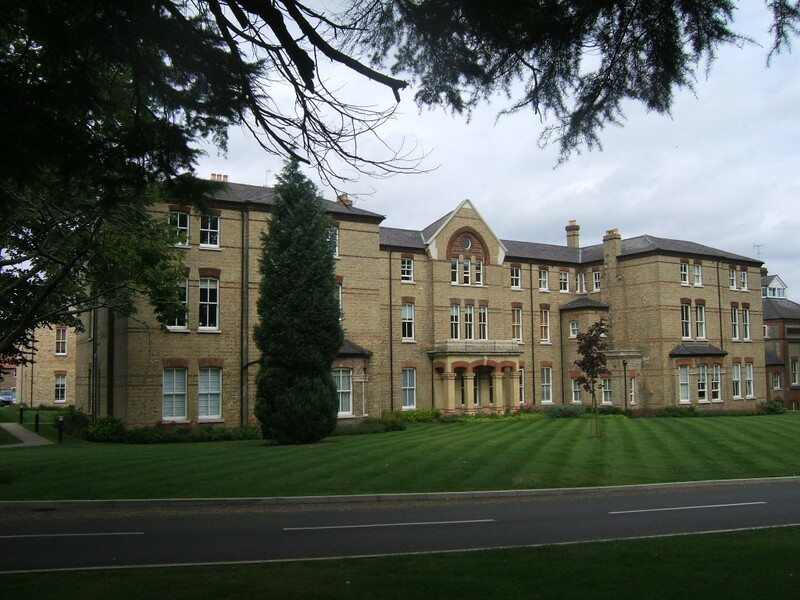 Extensions to the complex became almost continuous up to the Great War with the addition of a further storey on the laundry ward in 1900, male isolation ward in 1903, nurse’s home in 1904, conversion of a detached house to a convalescent home in 1906, addition of sanitary annexes in 1908. 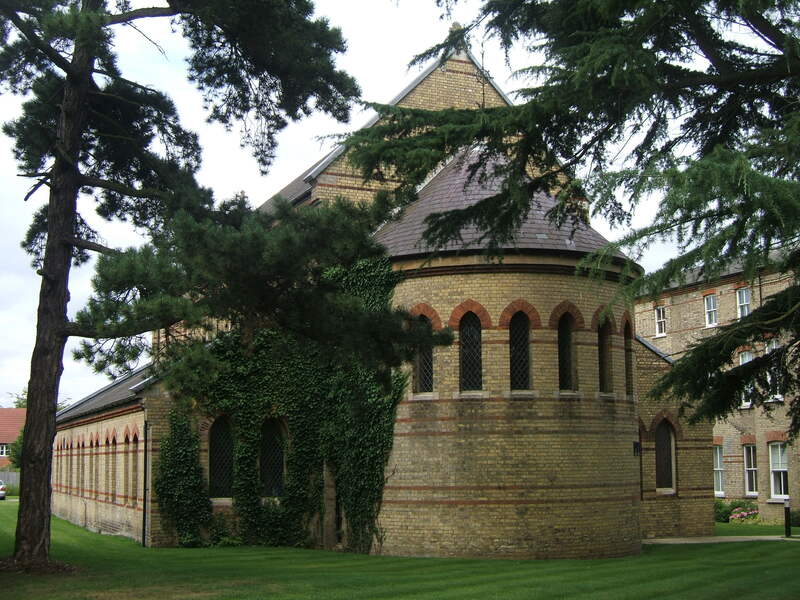 The sewage system was renewed in 1905 and the gas works were closed from 1911 when gas was sourced from Watford Gas Co. The wards were reorganised from 1914 with the former day accommodation on the ground floor and upper floor dormitories converted to provide a both on each floor thereby forming a ward to each floor. Thereafter the wards which were formerly numbered only, gained a suffix letter (A & B) for the upper levels. The odd numbers had formed the female wards and evens for the males. The process was eventually completed in 1931. The Great War brought significant strain on the hospital, whose attendants were depleted by the losses to military service and the recreation hall was used for the billeting of troops, with officers accommodated in the superintendent’s residence. A memorial at the asylum was provided for the 22 staff who were killed in service. Further building continued in the interwar period with cottages for married male attendants added in Tanners Hill in 1921, the Superintendent had relocated to ‘Woodside’, the former Chaplains house in 1920 and subsequently to Coles Farmhouse from 1926 and a new boiler house was completed the same year. Between 1926 and 1931 a new ward for female tubercular patient’s villa, a female isolation block, a single storey nurse’s bungalow complex, verandahs to the original infirmary wards and further sanitary annexes to other ward blocks. In 1930 the MAB ceased to exist and its role was assumed by the London County Council who took on all poor law authority accommodation in the County of London. At this time the LCC reviewed the purpose of the Industrial School opposite and decided to close it. The buildings were then allocated as an annexe to Leavesden and opened on 1st April 1932 for senile, incurable and chronic patient’s. The grounds included four detached villas, named after plants, which housed the females, whereas the males were accommodated in the main building. 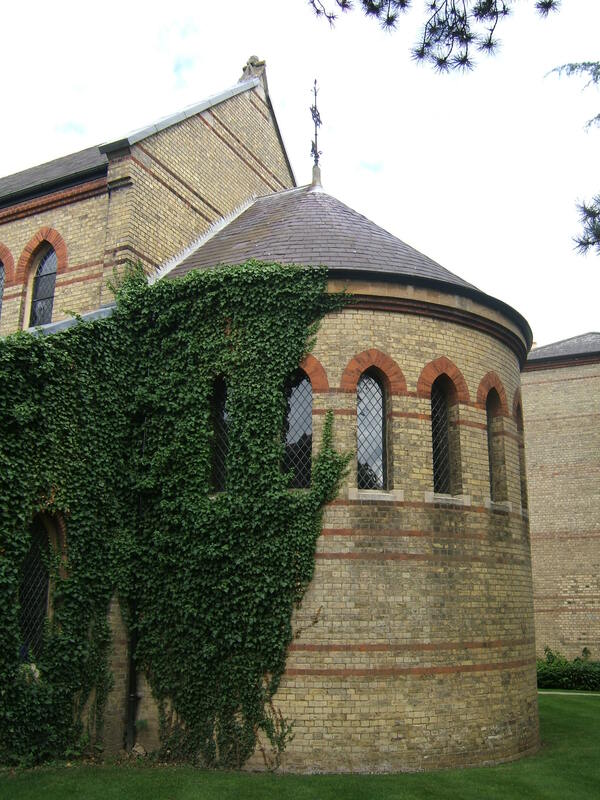 The grounds also included a detached chapel, later known as the Chapel of the Holy Cross and a range of sports pitches. The main gate of the annexe stood almost opposite those of the main complex and a subway was dug under Asylum Road for the convenience and safety of staff and patients transferring between the two. The return of hostilities during World War II saw the acquisition of the annexe by the Emergency Medical Service who constructed a substantial hutted complex within the grounds. In addition to the existing bed spaces which were vacated with transfer of patients back onto the main complex the EMS facility formed 650 general beds under control of the University College Hospital. The main complex had not only to accommodate the displaced annexe patients but also over 100 from St. Bernard’s Hospital, Hanwell and 50 children from The Fountain Hospital in Tooting both of which were bombed. Such overcrowding led to certain workshops and the chapel being used for dormitory accommodation. 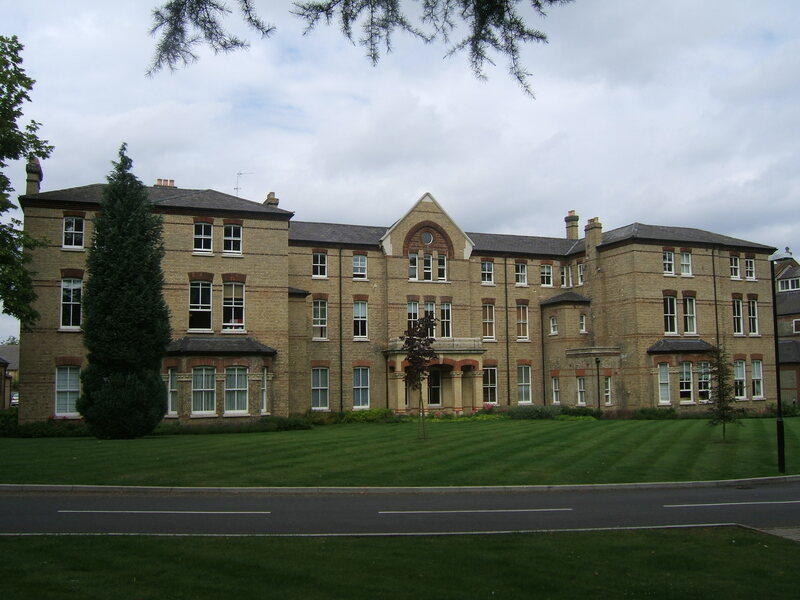 After the war the annexe buildings returned to Leavesden Hospital and were transferred with the main complex to the National Health Service. The hutted wards subsequently accommodated the No. 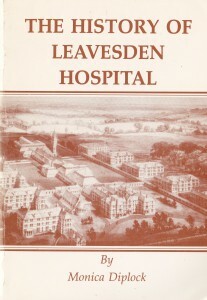 23 Canadian General Hospital and then altered to provide a educational training facility, the LCC Leavesden Green Teacher Training Centre until that closed in february 1950. It was around this time that Asylum Road was renamed College Road and remains so to this day despite the brief existence of the college itself. Abbots Langley Hospital was formed in the 548 bed, hutted complex and provided care for geriatric and senile patients, and although not a mental hospital and separate from Leavesden, it shared a number of services and administrative facilities with it’s larger neighbour and three wards known as the ‘maple unit’ were taken over by Leavesden in 1967. Staff housing was reorganised during the early 1960’s with the construction of a bungalow complex for male nurses in Stewart Close, and a male nurse’s home, Cayford House opening in 1963 under the North West Metropolitan Regional Health Board. The hospital cemetery was closed from 1968 with further interments taking place at North Watford Cemetery. Ward names replaced numbers in the main wards during 1969, with bird names for male side wards and flower names for female wards and they were subsequently sectorised by area from 1975, which resulted in the definition of gender becoming obsolete in relation to the sides of the building. On the annexe site, the wards already bore plant names and these remained unaltered. A new school complex was added in 1966 which was transferred to the County educational authority from 1972 and renamed Springfield School. 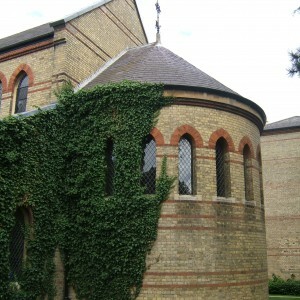 The Chapel of the Holy Cross was closed and its functions transferred to the Chapel of the Good Shepherd on the main site from 1968. The new Oak Villa was added in 1969 and The Willows mixed socialisation unit opened in 1973. The ‘Friendly Leaves’ patient clubhouse also opened near the subway on the annexe site and was sufficiently popular to require expansion in 1978. Hostels began to be set up with the aim of preparing patient’s for a future outside the hospital and ‘The Brambles’ prefab was set up for the purpose in an old airing court. Elsewhere properties were purchased in Derby Road, Nascot Road and Langley Road. 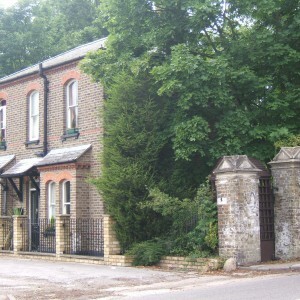 At the main site familiar features were gradually removed, with the clock tower taken down from administration block in 1968 and the lodge cottage demolished in 1980. The opening of the Eric Shepherd Unit, one of the last major developments at the hospital took place in 1985, being named after the final Superintendent forming a regional secure unit for male and female patients. The annexe was closed for the last time and remaining patient’s transferred back to the main building again. Abbots Langley Hospital followed in 1992 and the site south of College Road closed altogether. The remaining services on the main site were transferred from District Health Authority management to the newly formed Horizon NHS Trust which took on the learning disabilities institutions in Hertfordshire. From this time, long stay services between Leavesden, Harperbury and Cell Barnes Hospitals began to be closed and replaced by community facilities with residual functions continuing predominately at Harperbury Hospital only, where the trust was headquartered. With most buildings at Leavesden at least sixty years older than either of the either sites and spread over vast three storey blocks, it was chosen as the first to close in 1995. 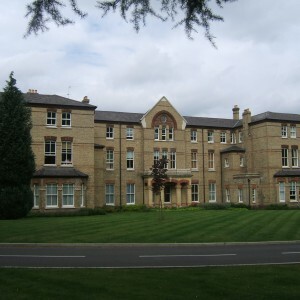 Cell Barnes Hospital followed in 1998 and Harperbury lost its final long stay institutional services in 2001 when the trust was dissolved. After closure, the site remained largely intact but disused until 2001 when demolition took place and a large housing estate was subsequently constructed on the site of the female wards and service areas. 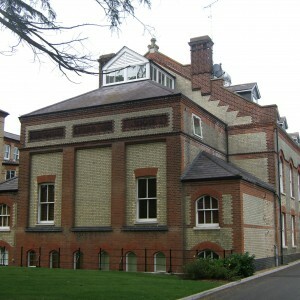 The administration building, chapel and recreation hall were retained and restored and form part of a gated complex. 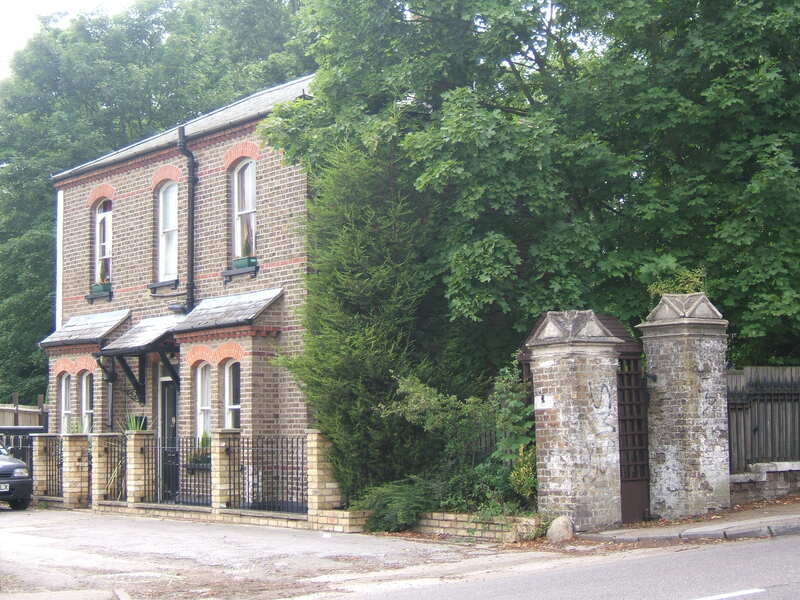 The boundary railings are also intact as is one of the former staff houses on Woodside Lane. Other modern NHS units also survive off Woodside Lane but have been left largely remote from each other with closure of the access roads between them. The site of the male blocks and much of the airing courts and sports grounds have been transferred to the Leavesden Country Park as a public recreation area. To the north of the grounds the site of the gas works and cemeteries remain as well as some of the structures associated with them in private ownership. On the annexe site the larger portion of the Leavesden Country Park continues over the gardens and sports fields and is accessed via the former gate with lodge cottage still intact. The approach roads for the annexe and chapel remain, however the buildings have gone and have been replaced by a housing estate. 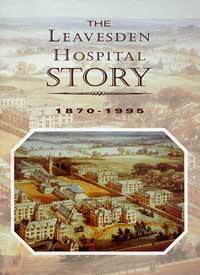 Abbots Langley Hospital site has similarly been developed and no traces of its buildings remain. 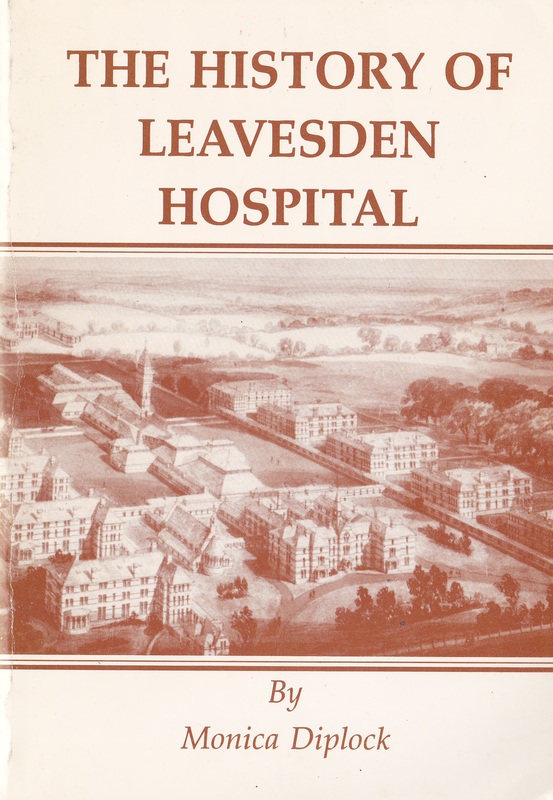 An active society, the Leavesden Hospital History Association was formed in order to remember and recognise the work of all the institutions on the site. On the 8th October 2014 a plaque was unveiled on the annexe area of the Country Park to commemorate the history and significance of the site.